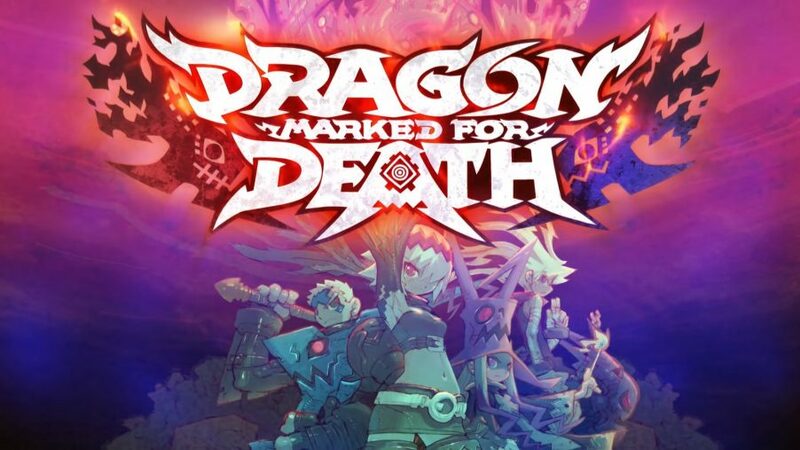 With the unexpected runaway success of pet project Mega Man 2 behind them, Capcom and Team Rockman went all in on Mega Man 3, throwing more money at the project with the hopes of capitalizing on their hot new franchise. 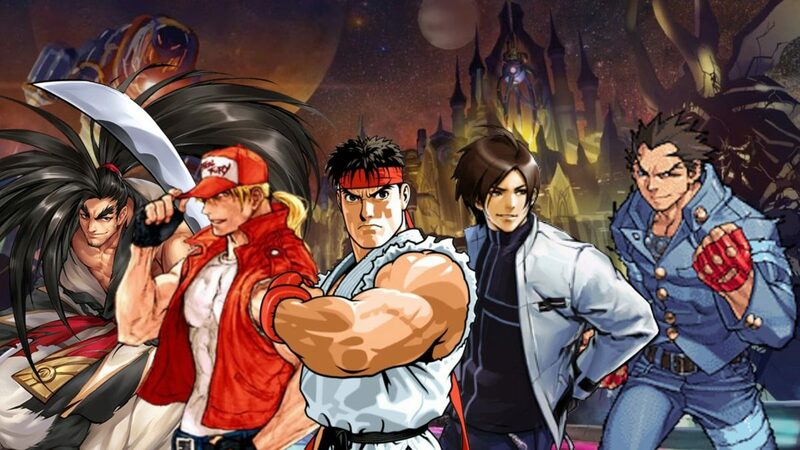 Yet trouble brewed on Team Rockman, as lead supervisor Akira Kitamura left the project along with other key players, creating a turbulent development climate and leaving the now-face-of-Mega-Man Keiji Inafune as head of planning under a supervisor he felt didn’t totally grasp Mega Man. Yet, against all odds, Team Rockman not only cranked out another masterpiece amidst development turmoil, but crafted a game that arguably surpasses its near-perfect predecessor. A less scenic but more musically captivating title screen than MM2. While the premise of Dr. Light and Dr. Wily working in cahoots is ripe for drama, the mining world and eight crystal bits are tacked-on and awkwardly told, resulting in a more complex but less compelling plot than the first two games. Although the increased emphasis on cut-scenes sometimes works well, the game’s storyline feels less poignant because it misses some of the originality of the first and the embellishments of the second. That said, the music is still phenomenal, and on par with the generation-defining music of Mega Man 2, with “Title Theme” being a personal favorite. My eyes aren’t burning. 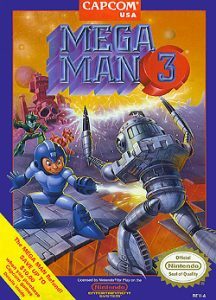 Is box art MM3’s greatest improvement? Mega Man 3’s gameplay is nearly identical to Mega Man 2’s outside of one massive and a few minor additions. One minor addition is the question mark block that, when shot, reveals a randomly selected item. While its randomness does not initially seem to gel with the deliberately designed player experience, their frequent location at the beginning of a screen suggests they may be meant to be shot, revealed, evaluated, and revisited if what they are holding is not ideal, allowing the player to choose an item. With this in mind, they make for a more strategically placed healing area that we see more in Mega Man 3 than in 1 or 2. Another minor addition is Rush, which replaces the Items from 2. 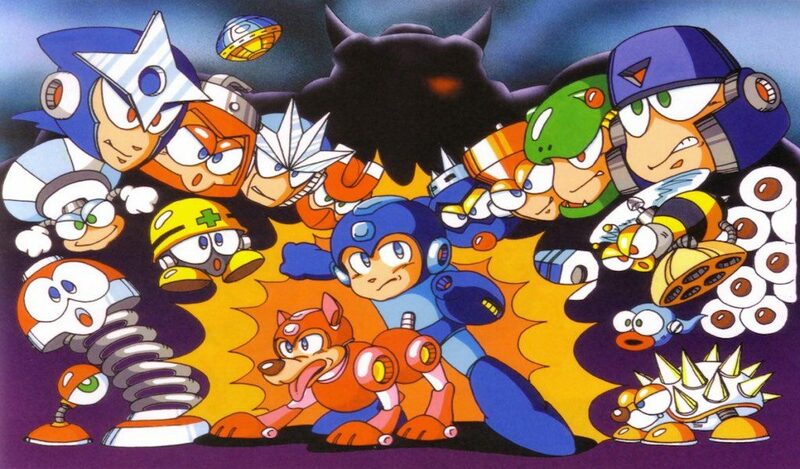 Although similar in practice, combining and animalizing the items marries gameplay with narrative in a manner that builds a bond between Mega Man and his loyal robo-canine companion. This is a clever and thoughtful concept, even if Rush Jet and Rush Marine can be easily abused. Finally, Mega Man 3 introduces perennial fan favorite Proto Man, who provides several crucial storyline beats and acts as a recurring miniboss specifically designed around Mega Man’s jump, move, shoot, and slide abilities. While the similar fights grow slightly monotonous, their design is evidence of the intricacy with which the slide is introduced (and as a wildcard rogue with an enigmatic whistle, Proto Man is still as cool as ever). 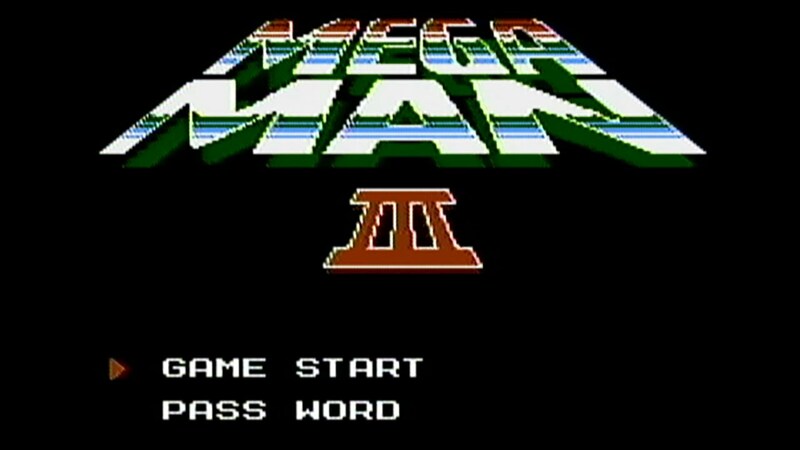 This slide mechanic is the major gameplay differentiator between Mega Man 2 and 3, as it expands the jump, move, shoot trifecta paramount to the series thus far. Although it could have easily been a tacked-on gimmick, sliding lies at the core of Mega Man 3. 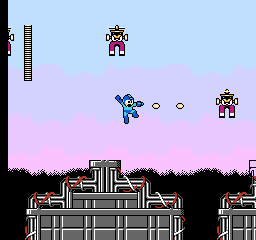 From battling Proto Man to mini-obstacle courses (such as the one in Needle Man’s level pictured above), much of Mega Man’s environmental and enemy design are crafted to foreground the importance of sliding. Fortunately, sliding itself is an utter delight. By making traversal faster and combat more variable, sliding both quickens and deepens the core Mega Man experience, making play more variable every step of the way. 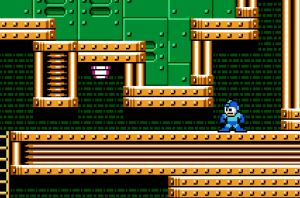 Although some might argue as to the “purity” of the slide, as even Mega Man 9 ditched it when revitalizing the franchise, I would argue it remains one of the most immediately gratifying and thoughtfully-implemented idiosyncratic platform movement mechanics of the 8-bit era, alongside the Bionic Commando grappling gun swing and DuckTales pogo stick jump. 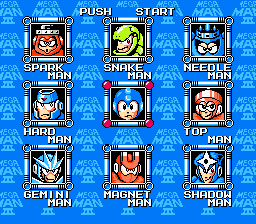 Magnet Man — A standout stage and boss. While the gameplay is more engaging, versatile, and nuanced than ever, I do have some larger conceptual critiques about Mega Man 3’s level design. 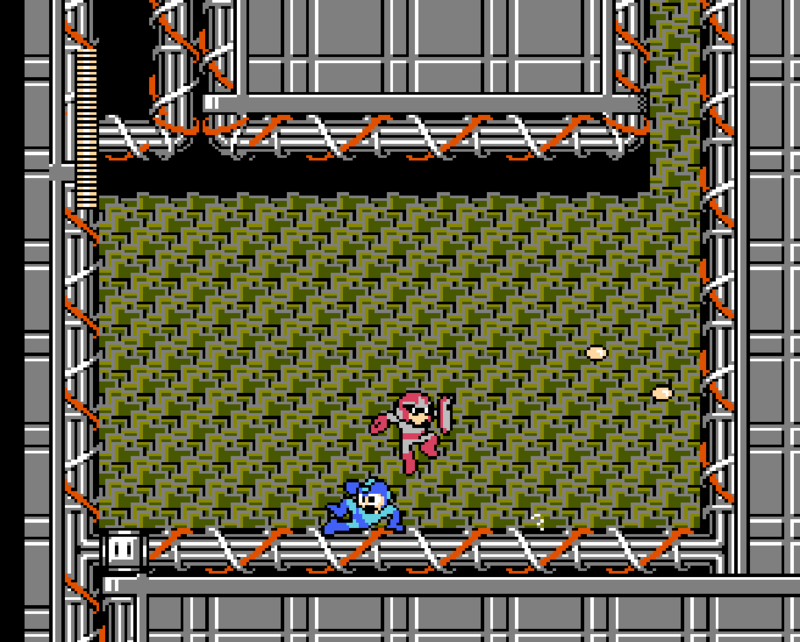 Though some standout levels like Magnet Man’s and Snake Man’s merge a strong thematic identity with their design, most of the stage’s themes come up short. This lack of memorable themes makes Mega Man 3 come across as a less diversified experience than 2, as some levels lack a distinct identity and blur together. Given this thematic weakness (Needle Man’s stage, for example, has a “sharpness” theme that is surprisingly well-integrated into platforming challenges as well as enemy design, but is forgettable as a theme), the game sometimes feels less like a journey from realm to realm and more a journey through a single somewhat bland world. It’s not just you Mega Man, the boss order really is confusing. Along similar lines, the bosses in Mega Man 3 (chosen by over 50,000 fan entries submitted to Capcom) are also less memorable than those in 2 because their themes do not always correlate with their fighting styles. Shadow Man, for instance, uses a boomerang shuriken that has nothing to do with “shadowness.” This thematic inconsistency results in an illogical boss order–Just as I don’t understand Shadow Man’s weapon, I don’t understand why he is weak to Top Man’s Top Spin. Without an easy mode to explore boss weaknesses at a lower difficulty, Mega Man 3 asks for some trial and error that would feel like a bigger waste of time if the levels were not so worthy of being replayed. Finally, following suit of the bosses and themes, the weapons in Mega Man 3 are less iconic and uniquely varied as in Mega Man 2. 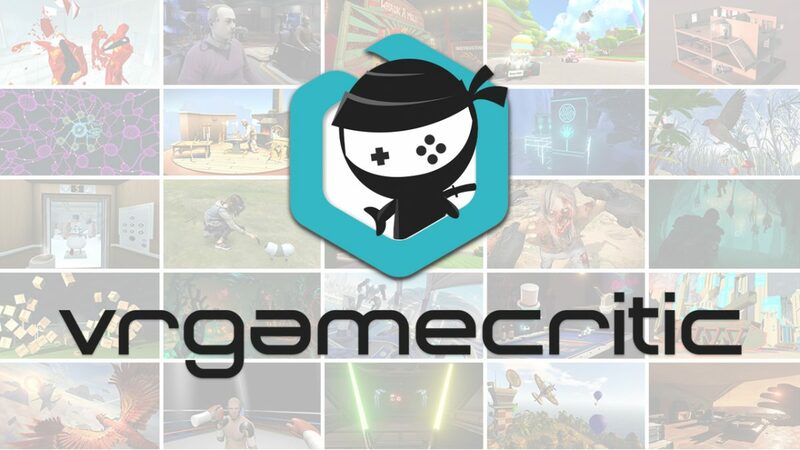 While some stand out for either originality (the balletic Top Spin kick) or overall strength (Shadow Blades are like Mega Man 2’s overpowered Metal Blades balanced by their limited range), many are forgettable. Spark Shock, Hard Knuckle, and Needle Canon, for instance, all feel like versions of the mega buster and hardly affect the way a player tackles a given combat scenario. That said, the weapons are more balanced and the game is more difficult than 2, so I switched weapons more often despite the drabber arsenal. Despite some of these critiques about the first half of the game, I should also note that Mega Man 3’s expert level design is fully present in its back half. 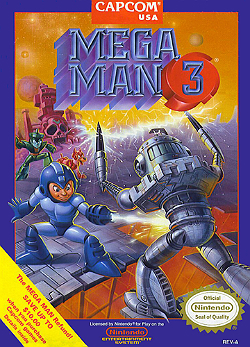 Featuring remixed versions of four robot master stages as well as six Wily stages, Mega Man 3 is a longer game than 2, and it’s no less fun in its back half. Nearly all of these stages are longer than any past Wily stages, and they seem more deliberately assembled and exciting. They also feature some pleasant surprises such as the return of the sadistic Yellow Devil from Mega Man 1 and all eight robot masters from Mega Man 2. On top of its stunningly consistent design, Mega Man 3 also addresses my three biggest concerns with Mega Man 2. 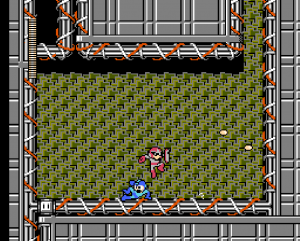 One, no item in Mega Man 3 is as overpowered as the Metal Blades in 2. Two, the game is more difficult (although there is only one difficulty). Three, the boss design of the game’s later bosses doesn’t require insidiously unfair weapon weakness knowledge. By addressing these critiques and building off of Mega Man 2’s incredible foundation, Mega Man 3 is a more perfect game than 2. Indeed, it features some of the most tightly designed levels, combat, and platforming challenges on the NES or any system. 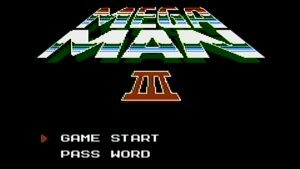 However, it also lacks some of Mega Man 2’s ineffable charisma, and suffers a minor identity crisis. Lacking some of Mega Man 2’s bravado and bravery, Mega Man 3 is a borderline flawless game that leaves a little bit less of a mark. Admittedly nebulous criticism aside, it is a brilliantly constructed sequel made by a virtuosos at the top of their game. Without being the quantum design leap that is Mega Man 2, it admirably evolves the Mega Man formula through its novel slide mechanic and even more perfect design. Full disclosure: This review is based on a retail copy of Mega Man.